Learning is one of the key success ingredients in any area of life. Yet, most of us are learning the wrong way. “Make It Stick” explains why many of our existing learning strategies are ineffective, and presents a better approach that will deliver deeper, more precise and more lasting learning. These ideas and tips are useful for students, teachers, trainers, and anyone who believes in lifelong learning. 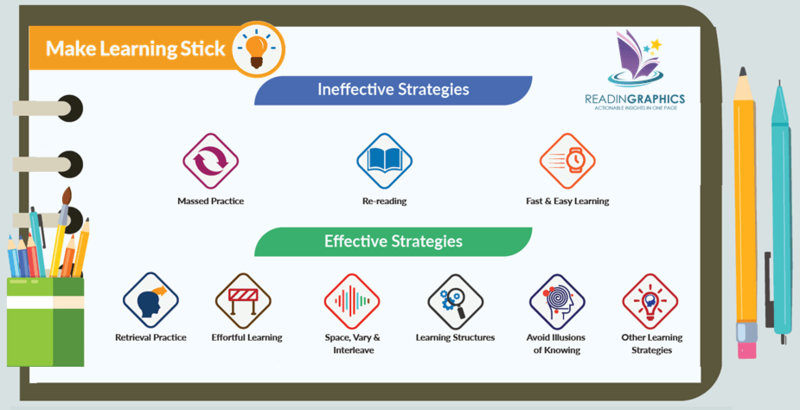 In our Make It Stick summary, we’ll briefly outline how learning occurs, and share some of the effective learning strategies that truly work. 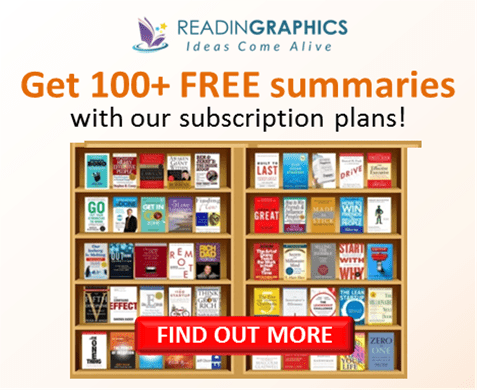 To get more details of the various learning strategies and applications, do get a copy of the book, or get a detailed overview with our complete book summary bundle. The most effective learning strategies are actually counter-intuitive. In the book, the authors debunk common learning myths and education/training strategies which are built on theories and intuition rather than real empirical evidence, and present alternative principles for effective learning which are backed by research studies and experiments. All of us learn continuously throughout our lives, be it mastering a new skill at work or picking up a new hobby. Effective learning must be retained in our memory, so we can call up the skills and knowledge for future problems and opportunities. • During encoding, new information is received by your brain in the form of chemical and electrical charges. These are encoded into memory traces (or mental representations of the patterns you’ve observed), which are held in your short-term working memory. Most of these memory traces are forgotten. • During consolidation, material is placed in your long-term memory. Your memory traces are reorganized and connected to past experiences and knowledge in your long-term memory to give them meaning. This process strengthens and stabilizes the mental traces. • During retrieval, you fetch material from your long-term memory. This concurrently strengthens the memory traces and reconsolidates them by connecting them to the new learning. We can learn how to learn, as well as improve our abilities through learning. For learning to be effective, we must (a) anchor the new material firmly when we recode/consolidate it from short-term memory to long-term memory, (b) link the material with a wide range of cues so we can recall it more easily later, and (c) develop sound mental models which capture real understanding. In the book / full book summary, we also explain the difference between knowledge and conceptual understanding, and why effective learning not only improves performance but actually changes your brain and intellectual capabilities (a term called “neuroplasticity”). 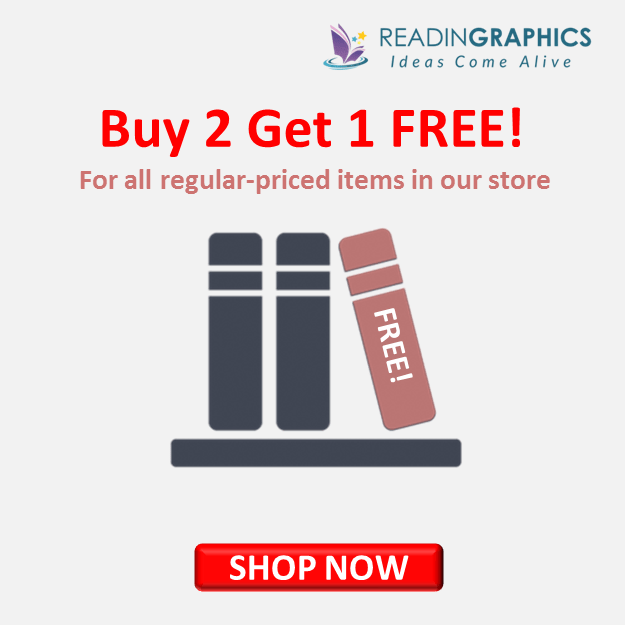 Throughout the book, the authors deliberately repeat the key ideas and tips in different contexts to enhance readers’ learning and retention. They also differentiate between empirical evidence, preliminary research evidence and their own theories about learning. In our full 14-page summary, we’ve broadly classified these strategies into 3 ineffective strategies (which are widely-adopted but don’t work well in reality), and 6 effective strategies which are empirically proven. Let’s now zoom in on 2 of these effective strategies. Retrieval practice is about recalling concepts, facts or events from memory. It’s different from “massed practice” which is about repeating something rapidly and single-mindedly to try to commit it to memory. This is also known as the “testing effect” or the retrieval-practice effect. Generally, taking a quiz is much more effective in reinforcing your learning than re-reading materials. 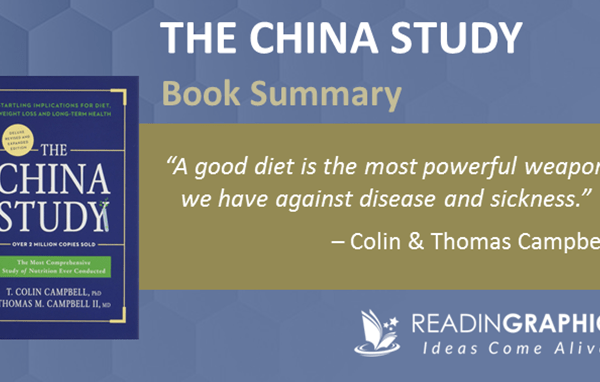 [In the book / full Make It Stick summary, we also share relevant studies that prove this effect]. The key is to use testing as a tool to retrieve learning from memory, rather than a dipstick or a form of judgement of how much someone knows. • As you learn something, pause occasionally and ask yourself what you’ve learned and how they relate to what you know. • Instead of rereading materials, use quizzes (self-testing or a third-party test) to retrieve knowledge and skill from memory. • Set aside time to quiz yourself regularly on past and new materials on a topic you wish to master. Remember to check your answers and so you can correct your mistakes. These are 3 related ingredients that can make your retrieval practice more effortful and effective. The key is to mix things up and vary them, so you break mindless repetition, and simulate retrieval in a way that’s similar to the random and varied nature of real-life challenges. 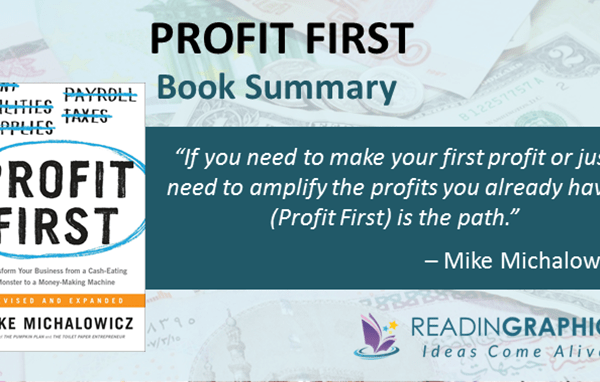 In the book / full summary, we explain in greater detail why this works how you can apply it in real-life learning. • Spaced practice means spreading out your retrieval sessions with a meaningful time-gap between practice sessions. • Interleaved practice means alternating topics or deliberately leaving regular blanks or intervals between practices. This is more effective than focusing on the same problem or topic for an extended period of time. • Variation. Rather than repeat the same retrieval practice every time, vary the type and context of your retrievals.o Similar to interleaving, variation enhances your ability to compare similarities and differences across various scenarios, and to integrate related ideas and/or skills into meaningful schemas or mental models for better solutions. • Effortful learning. It’s a myth that great learning should be fast and easy. Learning is actually deeper and longer-lasting when it’s more difficult and effortful, as it helps to reconsolidate memory, create mental models and increase brain neural connections. • Learning Structures, not Learning Styles. Rather than focus on your preferred learning styles (e.g. visual vs auditory learning), it’s more effective to focus on building learning structures or mental models of how you learn. • Avoid Illusions of Knowing. We are generally poor judges of what we know and don’t know. Understand our brain’s natural biases and illusions, and use “calibration” to objectively evaluate your learning. • You can also use other proven strategies like generation, reflection and mnemonic devices to enhance and deepen your learning. 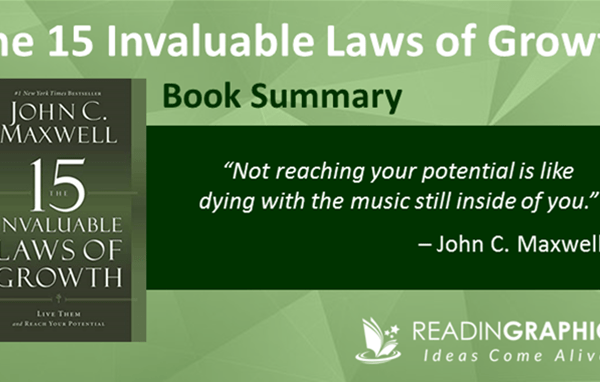 The responsibility for lifelong learning fundamentally rests with each of us. Whether you are a learner, trainer and/or educator, it’s up to you to apply and tailor the tips and strategies to suit your goals and circumstances. 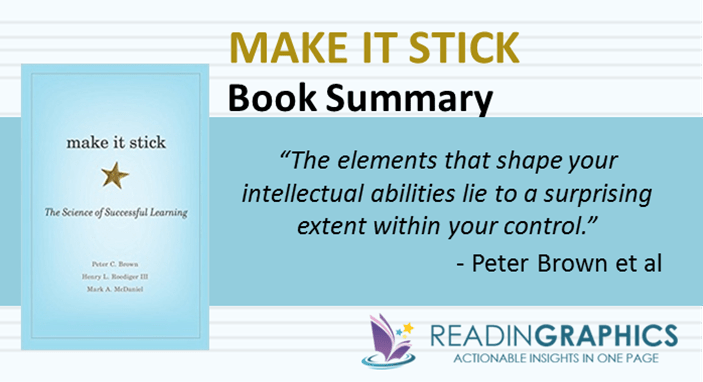 Do get a copy of the book for more details of learning research and examples, get our Make It Stick summary bundle for an overview of the various ideas and tips, or check out more resources at https://makeitstick.net. Learn more effectively to shape your abilities and improve your performance! 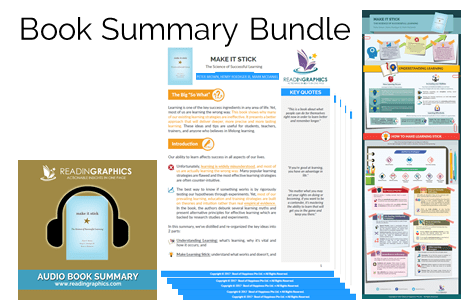 Click here to download the “Make it Stick” book summary and infographic.